Life Reading Destiny Prediction Fortune Telling. Life Readings predict of life according to the year, month, day and hour of birth. 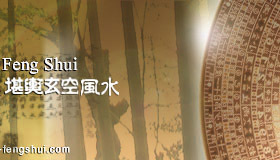 Life Readings give an accurate description of a person's life according to the year, month, day and hour of birth. One's destiny is greatly influence by Heaven, Earth and Human Luck. And each of these lucks would actually account for 33% of one's path of life. Wondering why is life always full of up and downs? Sometimes surprisingly succeeding in the most unexpected of situations and sometimes, just failing over and over again despite having the best of plans and efforts put in. Are you someone whom believes in a predestined destiny? Many believe that they can be master of their own destiny, believing that by trying hard enough they can change and even reverse their own destiny. But facts have shown that not many actually succeeded. Is it because they never tried hard enough? Yes, to be trying hard is definitely not a bad thing but to be trying hard in the wrong way, it is. Now, one's very destiny is actually greatly influenced by Heaven, Earth and Human Luck which each accounts for 33% of his or hers path of life. From the day we are born into this world, each of us are predestined or prearranged with this special code of destiny that would influence various part of our life. Think about it. You couldn't deny the fact that you do indeed have no say over your birth, could you? And you have nevertheless accepted yourself as who you are, didn't you? And to just add on, I must say that you are lucky to have arrived here into this world healthily. Well, some are just not as fortunate as you. As much as they would like to be just as healthy as most, they were born into this world with a little disability. This is what we would call Heaven Luck. In actual fact, this predestined code of Destiny cannot be changed. But to choose to believe and to discover about your life Destiny, you do have the choice. By understanding your destiny, you can in a way preplan your journey in life and avoid the unpleasant; avoiding making all the undesired actions, which can greatly affect your life. 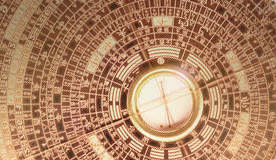 Life destiny reading is a tool used to predict and discover one's future. These Life Readings give an accurate description of a person's life. They are calculated based on the year, month, day and hour of his or her birth. Beside one's personality, it also reveals individual strengths and weaknesses that can be applied to career choices and other major life decisions. To succeed in life, we have to always work things around the smart ways. 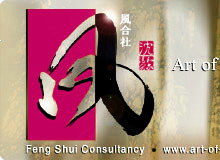 Life Destiny Reading can be a promising tool for you. Surely with a better understanding of the future, you will know how to better be planning your journey towards success? Think of it this way. By understanding and knowing how to avoid making the unnecessary mistakes in life, success will just be within your reach. Check out the Most Recently Asked Questions. Fate brought you here because we both believe in destiny, cause and effect. We'd try our best to provide you with finest analysis for your problem. Let us help you to unlock the secrets of your future.